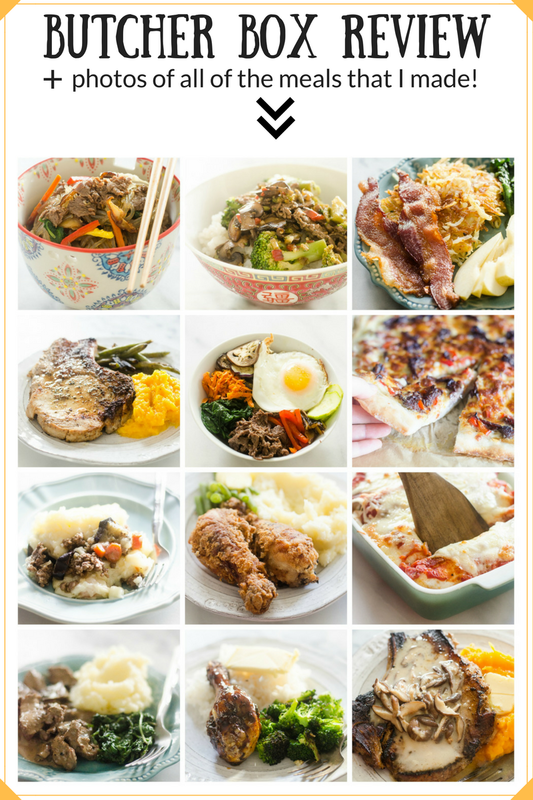 Butcher Box Review, Coupon Code, and Photos of All 12 Meals That I Cooked! A little over a month ago, Butcher Box sent me one of their new boxes so I could let you guys know what I think of it! The newly-launched boxes contain not only the signature grass-fed beef, but also organic chicken and heritage-breed pork. 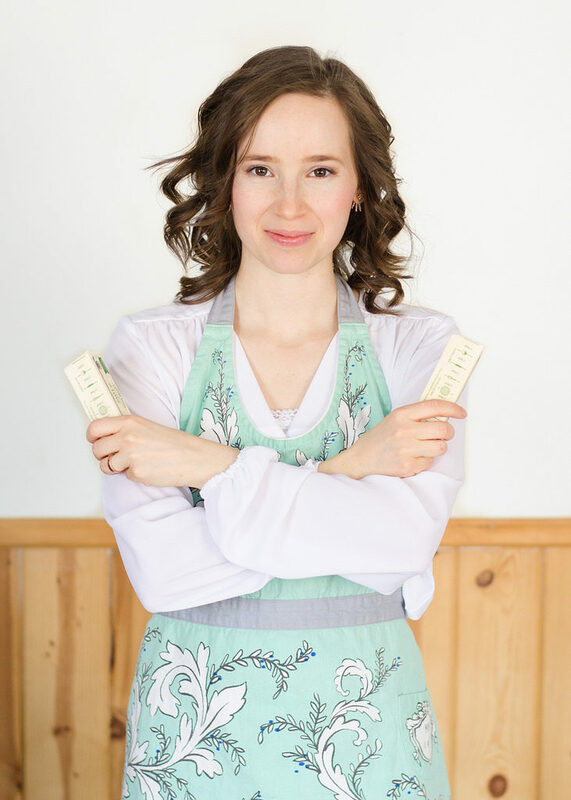 I’m all about high-quality meat, so I was more than happy to work with ButcherBox. 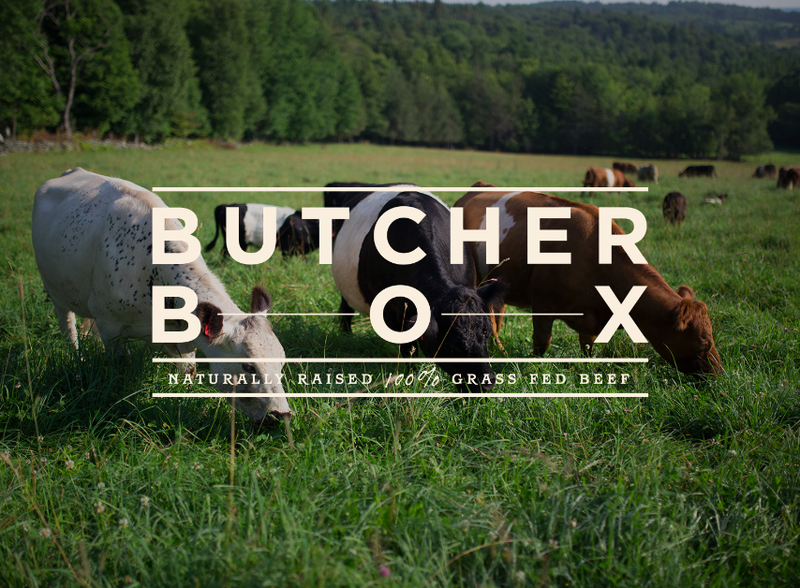 ButcherBox is a subscription service that delivers 100% grass-fed beef directly to your door every month. Their dream is to make grass-fed beef more accessible than ever before. They call themselves the neighborhood butchers for modern America. 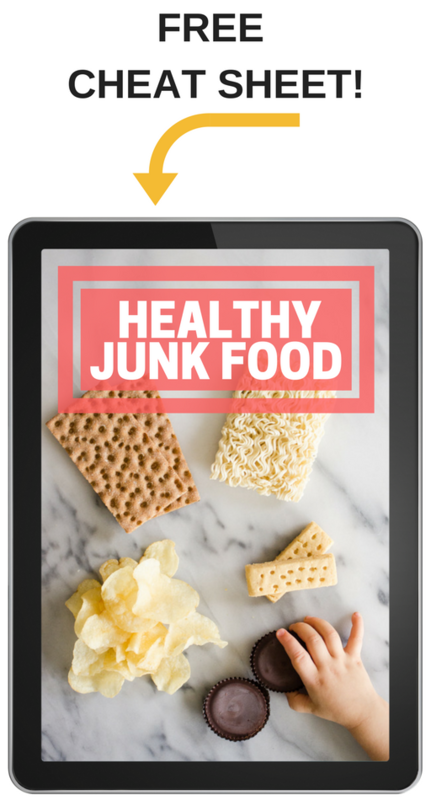 All of their products are free of antibiotics, GMOs, and hormones. Basically, you get a selection of meat for the month, plus recipe cards with ideas for what to make with your meat. The meat arrives frozen in a cooler with dry ice. You can choose from 4 different types of boxes: All beef, a mixture of beef, chicken, and pork, just beef and pork, or just beef and chicken. You can also customize how often you receive the box: once a month, every other month, or every three months. Now you can also purchase a double portion of meat for less than double the price of a regular box! I’m going to show you everything I made with my ButcherBox, and let your know what I think about the service at the end! 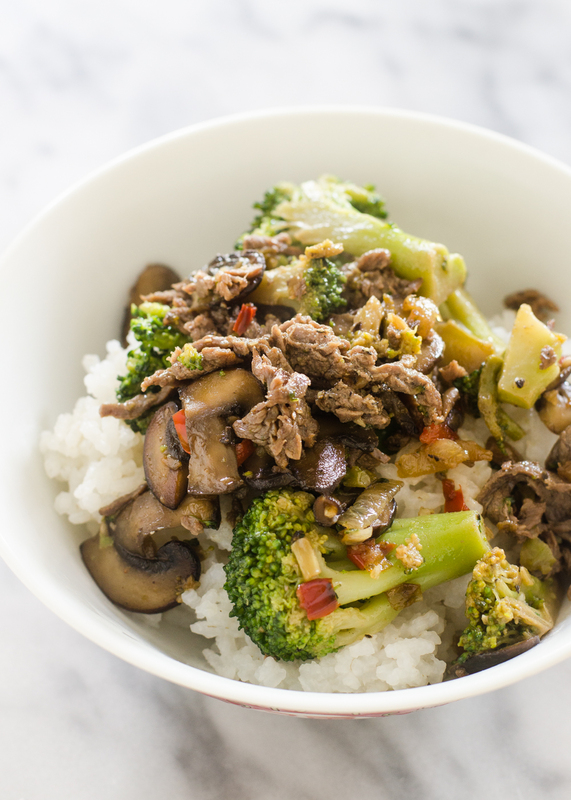 Beef and broccoli stir-fry. 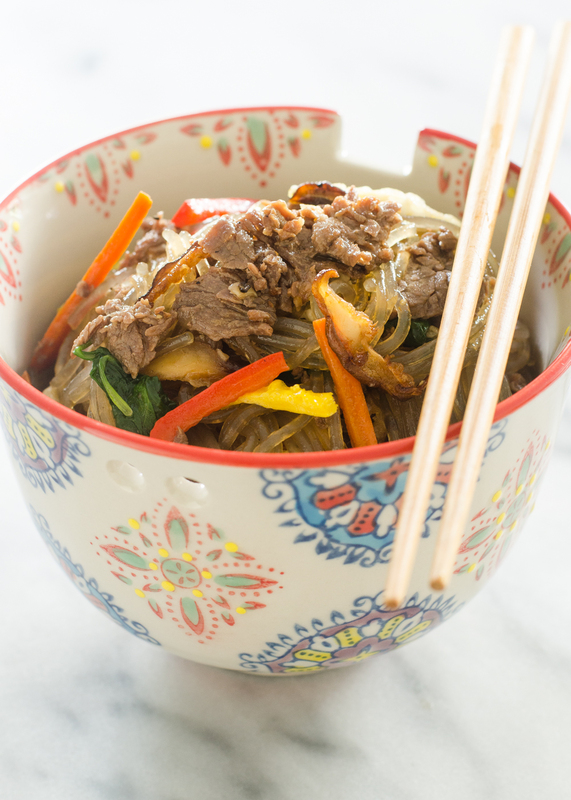 I made this with more of the thinly-sliced beef. Very good. 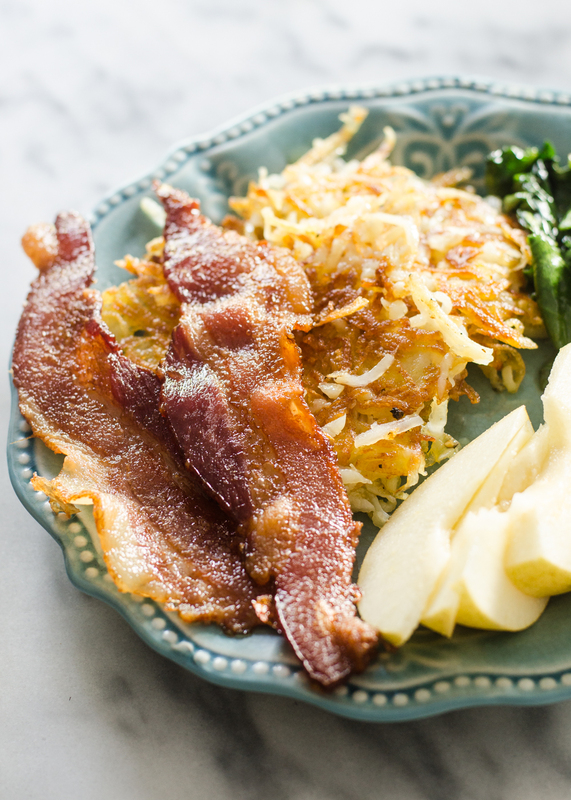 I used the uncured bacon from my ButcherBox to make bacon, hashbrowns, sauteed spinach, and pears for supper. 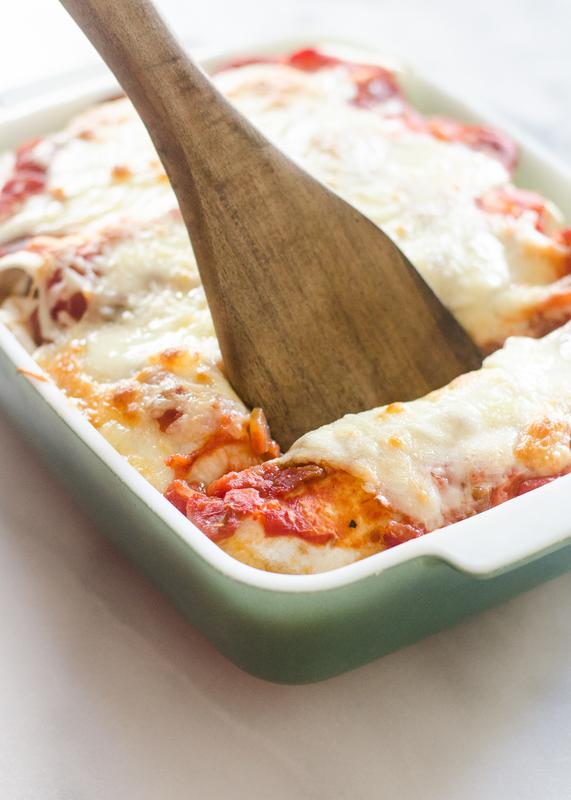 It’s one of our favorite suppers. I marinated the bone-in porkchops, pan-fried them (and actually managed to not cook them to death! 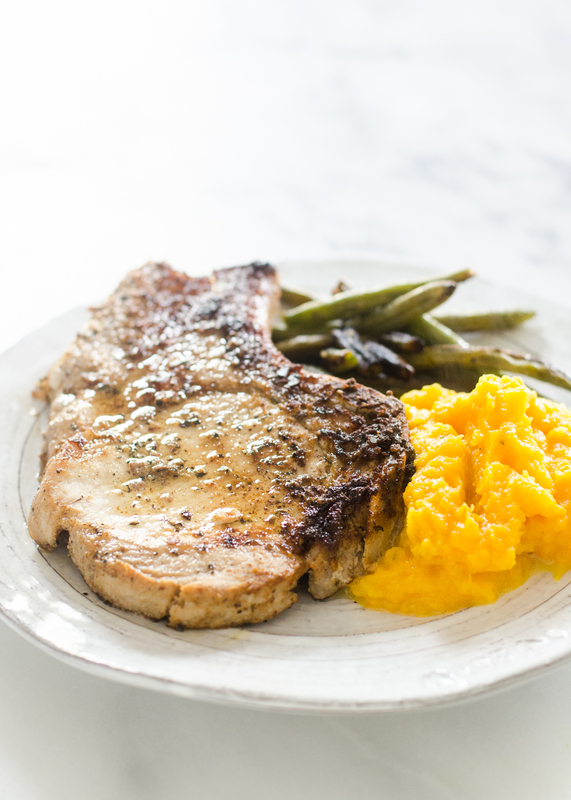 ), and served them with garlic green beans and mashed butternut squash. Delicious. 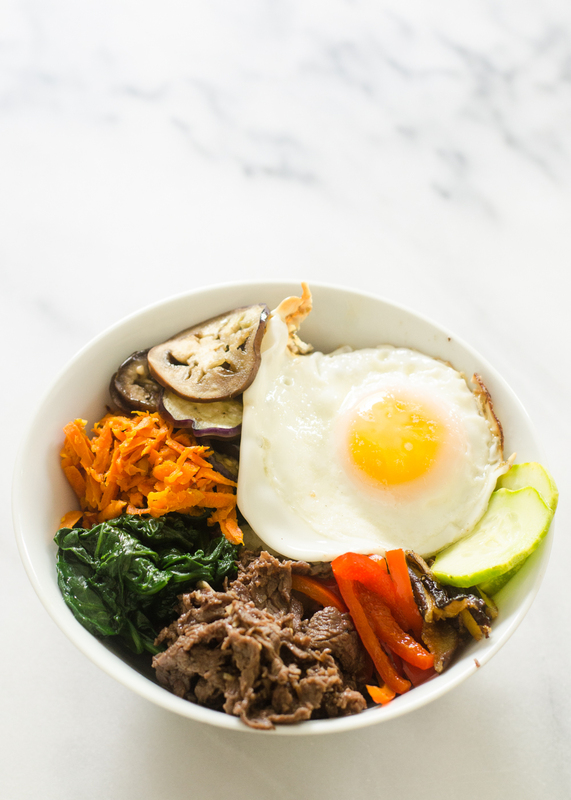 Another first for me: I made Bibimbap (a Korean rice bowl) with another half of a package of the thinly sliced beef. It was ALMOST as good as the Japchae. Reuben requested I make my Philly Cheesesteak Pizza with the other half of the package of thinly sliced beef. Ever-so-tasty. 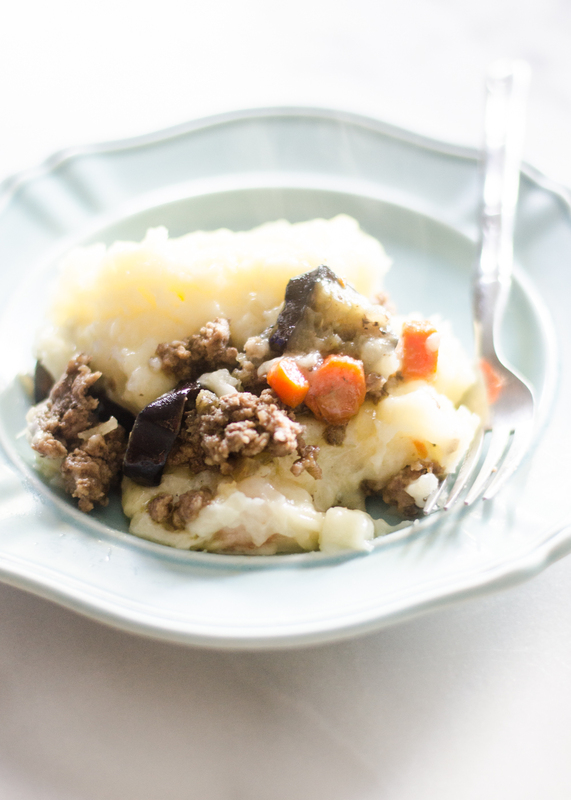 One of my favorite things to do with ground beef is to make Shepherd’s Pie (I’ll have to share my recipe with y’all sometime). This was good, but Reuben didn’t like that I used eggplant instead of peas. Also, the ground beef was a tiny bit chewy. Guys, I’m pretty proud of this one. I MADE FRIED CHICKEN! 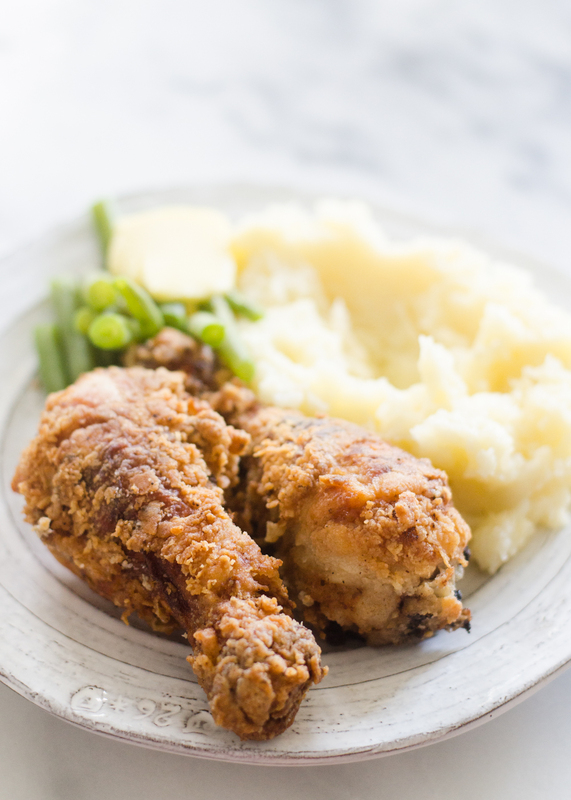 I used the organic chicken drumsticks from the ButcherBox and brined them in buttermilk, coated them with seasoned flour, and fried them. They were so so good. Reuben loves enchiladas, so of course I had to make him some with the rest of the ground beef. Mmhmm. 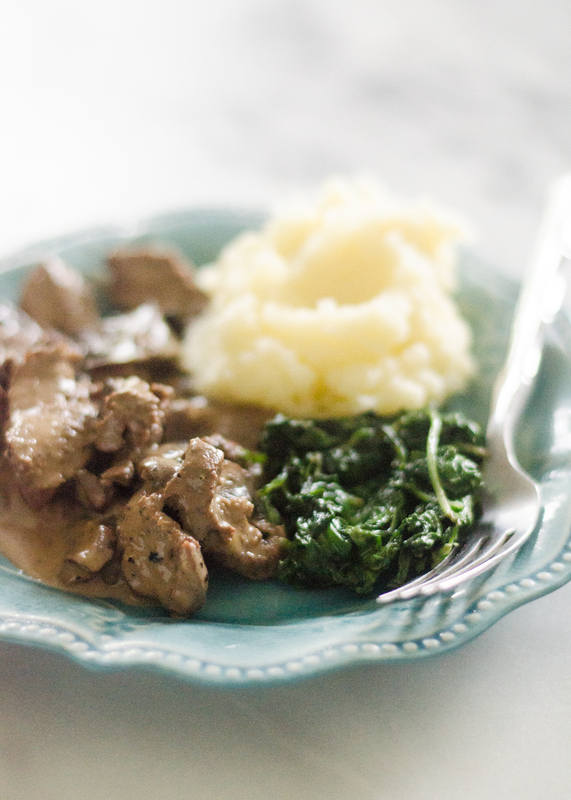 With the steak tips I received in my ButcherBox, I made pan-seared steak tips with a mushroom gravy and served with sauteed greens and mashed potatoes. We had a bit of an issue with inconsistent quality, which I’ll explain more at the end. 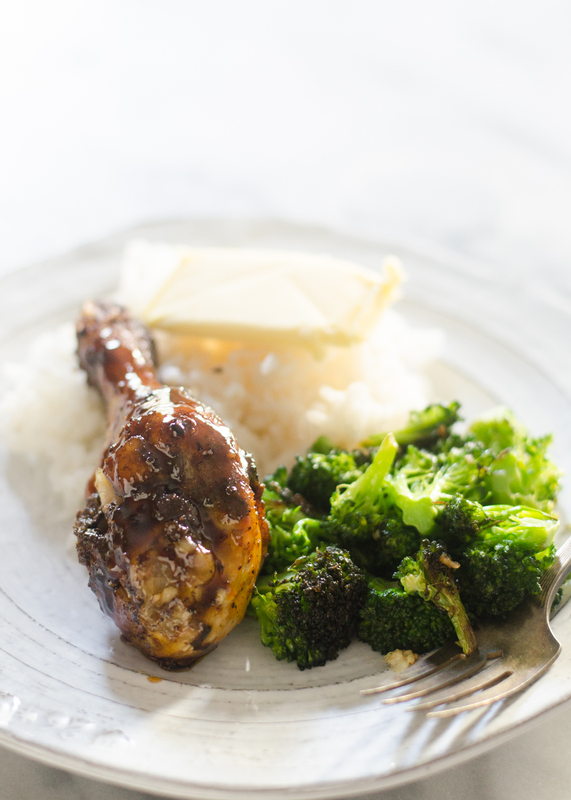 With my second package of organic chicken drumsticks I made sticky Moroccan chicken and served it with rice and broccoli. These were one of my favorites. Very flavorful. 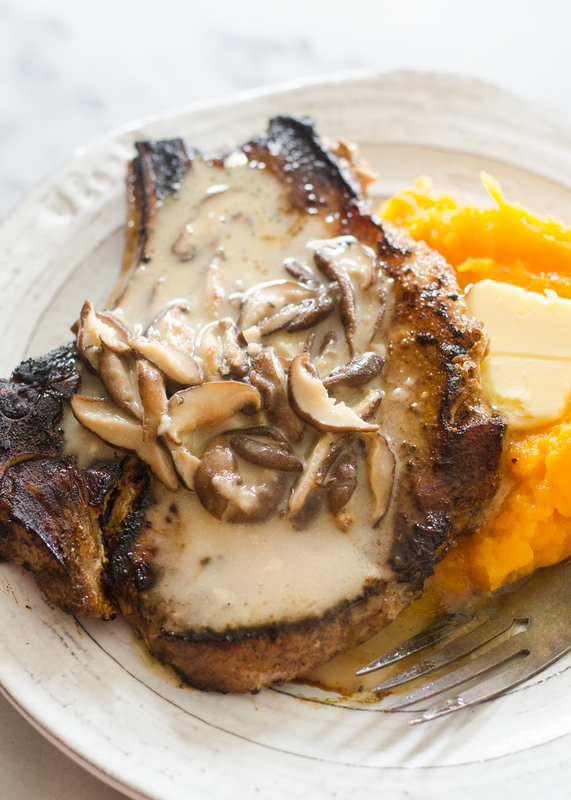 The last meal we had with our ButcherBox was marinated pork chops with a creamy shiitake mushroom gravy with mashed squash. Nummy. SO WHAT DO I THINK OF BUTCHER BOX? Overall I loved my ButcherBox. Some of the cuts of meat were the best I’d ever cooked. Especially the thinly sliced beef. Oh my. That was AMAZING. I also particularly enjoyed the chicken drumsticks and porkchops. One of the things that I really like about ButcherBox is that it pushes me out of my comfort zone to try new, delicious cuts of meat. We DID have a couple of issues with the meat: The ground beef was just a bit chewy. Also, the steak tips were inconsistent in quality: some of them were super tasty and tender, and other pieces were more tough. I mentioned this to ButcherBox, and they asked for photos of the boxes that the meat came in so they can make adjustments to the quality of their meat. In my last ButcherBox review, I mentioned that we couldn’t get all of our meat for the month from ButcherBox because we also like to eat pork and chicken. I love that ButcherBox listened to their customers and now offers the variety box! Way to go. ButcherBox says that the meat is enough for 15-20 single meals. We got 12 double meals (24 single meals) out of the meat, plus we had leftovers (Reuben likes me to cook lots so he has extra for his lunches). This box lasted us over a month. Keep in mind that I like to eat seafood once a week, so I added that to the mix. Also, life happens and we go camping, out to eat, and eat at friends’ and family’s houses. If you cook every single meal at home, this box should be about right or a little small for you. 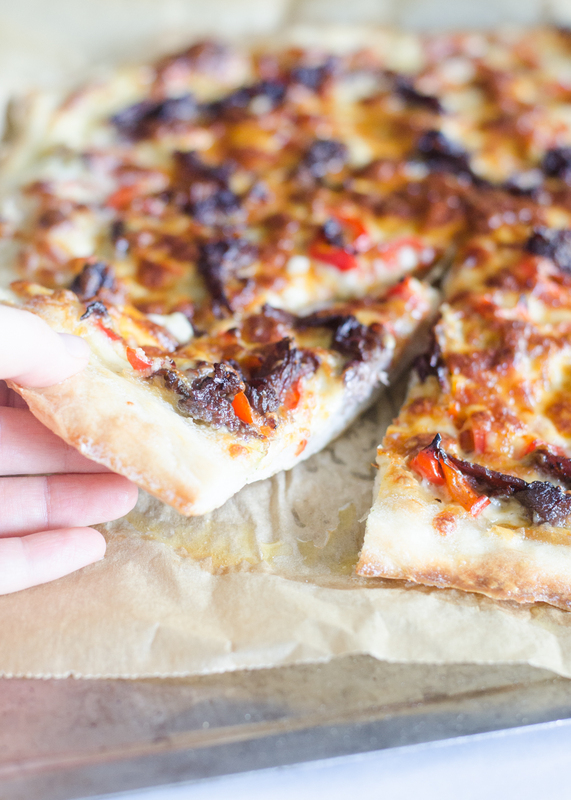 If you eat out of your home every once in a while, every other month might be the right choice. And if you have a larger family, the double plan would be a better option. I personally received: 2 pounds ground beef, 1 package of steak tips, 2 packages of thin-sliced beef, 2 packages of pork chops (4 chops total), 2 packages of chicken drumsticks (about 8-10 total drumsticks), and 1 package of bacon. WHAT WAS THE TOTAL COST PER MEAL? 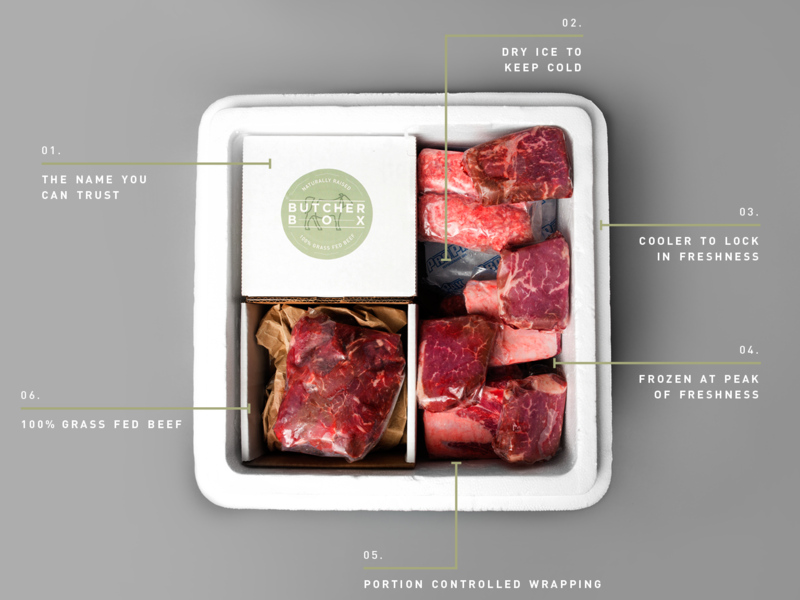 ButcherBox costs $129 per month (including free shipping). With our 12 meals, that worked out to $10.75 a meal for the meat, or about $5.38 for 2 servings per meal (it was actually less than $3.58 per person for us since it fed our family of 3 with leftovers). I think this is a great price for quality meat. Sure, it’s not gonna be as cheap as grain-fed, confinement-raised meat, but you pay for what you get, my friends. Right now I have my freezer pretty well stocked with meat from the farmers market. But come winter and our store runs low, I’m seriously thinking of subscribing to ButcherBox. Reuben really doesn’t like traveling hither and yon to different farms to get good meat, and I HATE paying the prices at our local health food store. Make sure to use the coupon code “Buttered” to get $15 off PLUS a free 10-oz package of uncured, Whole30-approved, no-sugar-added bacon! 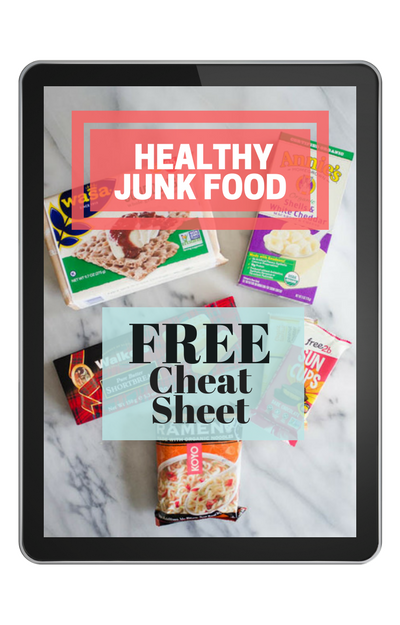 >>If you’d like to try out ButcherBox for yourself, CLICK HERE to get started! If you have any questions, make sure to leave me a comment! I’ll do my best to answer them. NOTE: ButcherBox sent me this box for review purposes. I have given you my honest review. Some links are affiliate. If you click on them and order a box, I will earn a small commission. Thank you for supporting Buttered Side Up!